Insurance group: 22 - 34 How much is it to insure? 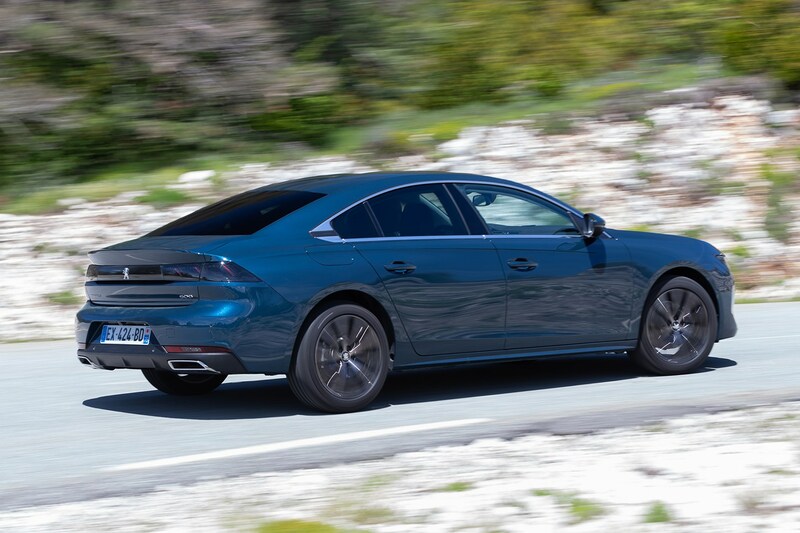 Despite the slow decline in popularity of the large family hatchback and saloon, which has seen the likes of the Citroen C5 and Toyota Avensis dropped from UK line-ups (with Renault’s Talisman not even sold on these shores), the presence of the new Peugeot 508 Fastback in the French firm’s line-up is pleasingly refreshing. 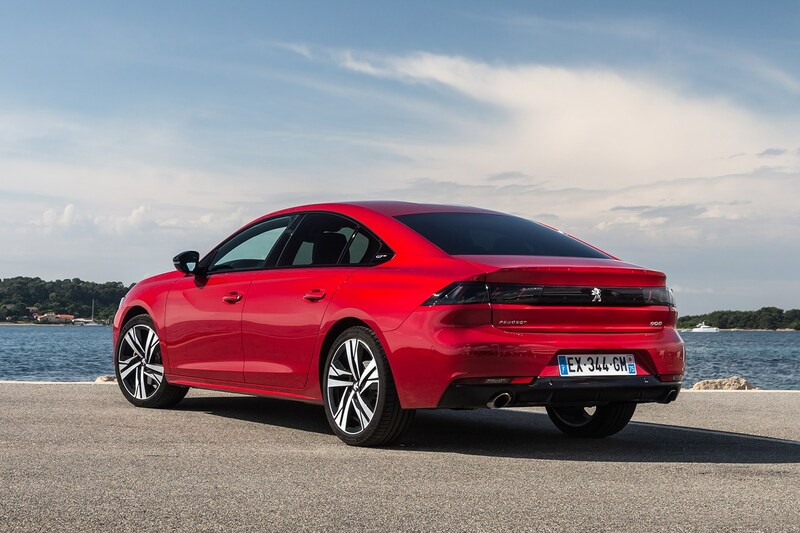 Traditionally a competitor to the likes of the Ford Mondeo and Vauxhall Insignia Grand Sport, Peugeot is chasing far loftier competition this time around. 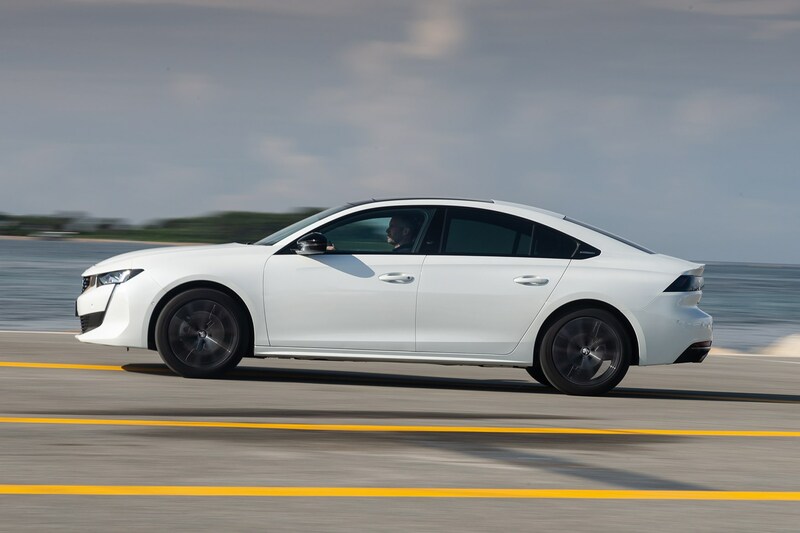 It sees the Volkswagen Arteon, BMW 4-Series Gran Coupe and Audi A5 Sportback as key rivals, offering a sleek coupe-like fastback bodystyle and a high-end interior and tech to match the sharp exterior look. 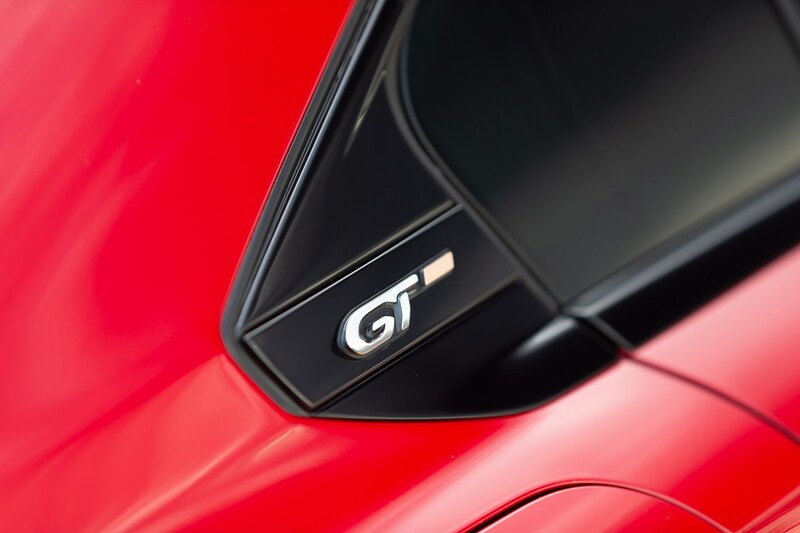 With this premium aspiration, it’s similar in concept to the Kia Stinger, too. 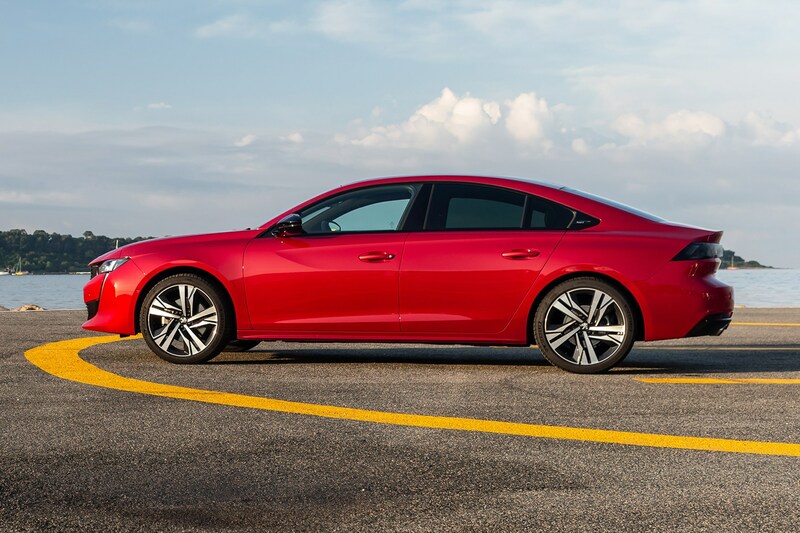 The new 508 certainly looks the part, with a classy, grown-up design that fulfils the brief of competing with its German rivals. That’s not to say it doesn’t offer some French flair, though. 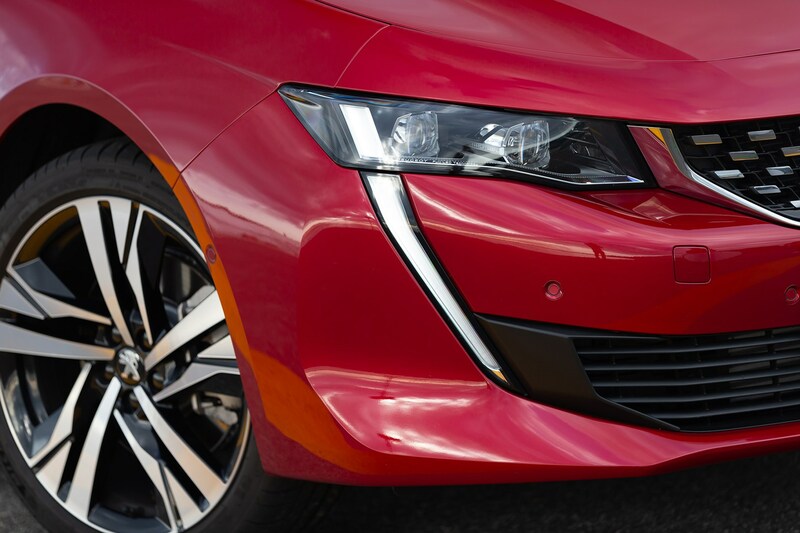 At the front, there’s a striking set of vertical LED daytime running lights, a sharp grille and slim headlamp units. 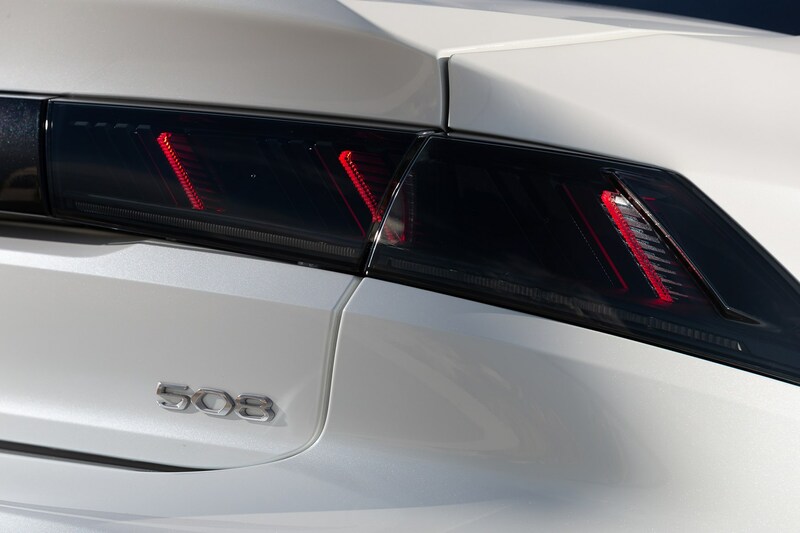 Side-on, the 508 looks more compact than many of its gargantuan competitors, with creases in all the right places and an unfussy look. 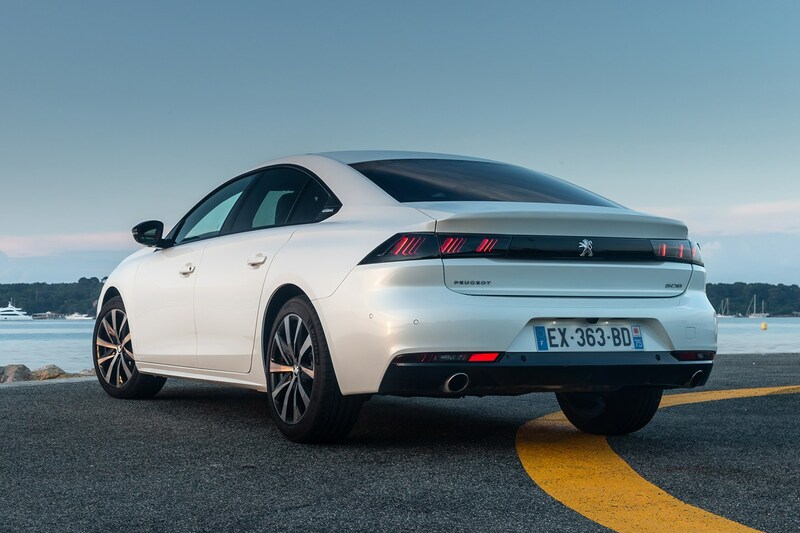 In fact, it’s shorter than the previous 508, but Peugeot assures us it’s more practical, while a more practical 508 SW also forms part of the new line-up. 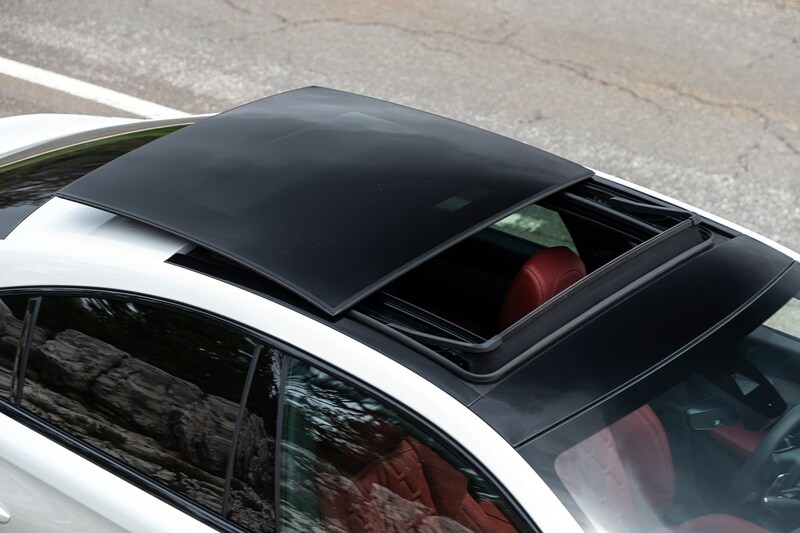 The doors are frameless just like a coupe, which immediately gains it some cool points, and contributes to its smart appearance. 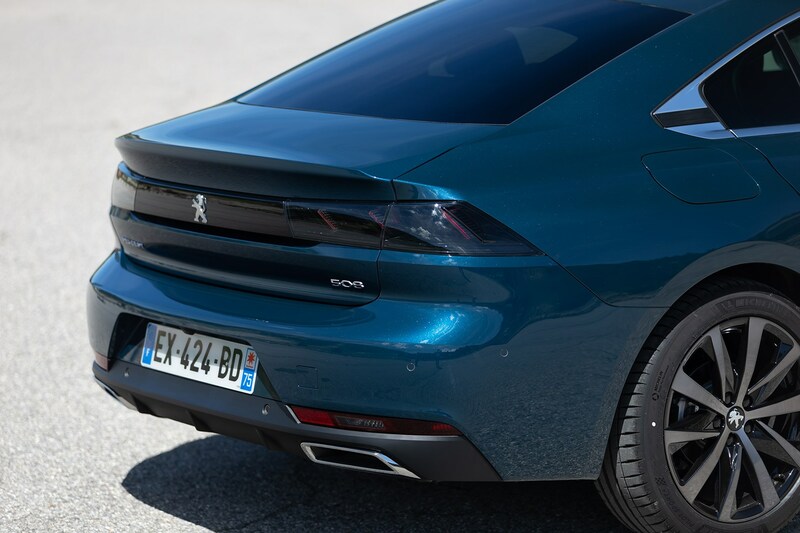 Around the back, it’s a simple design with Peugeot’s latest ‘claw-effect’ rear lights sitting in a black bar that runs the width of the car. 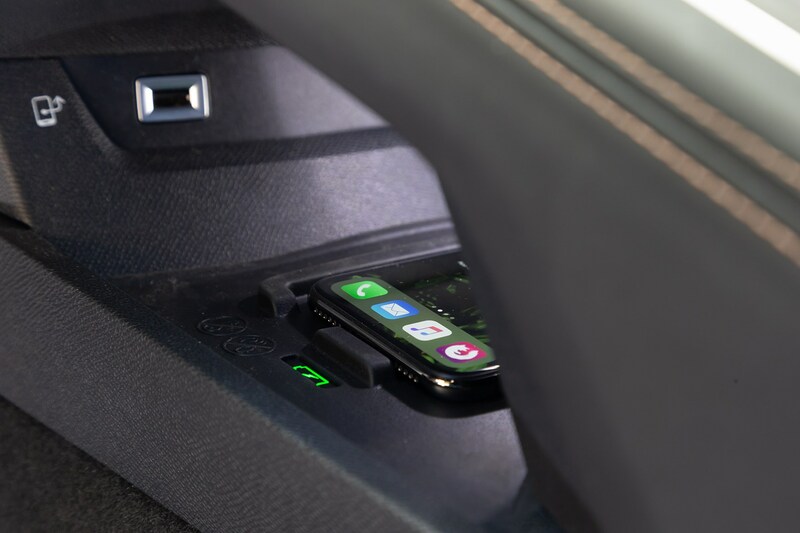 Things get even more interesting inside the 508. 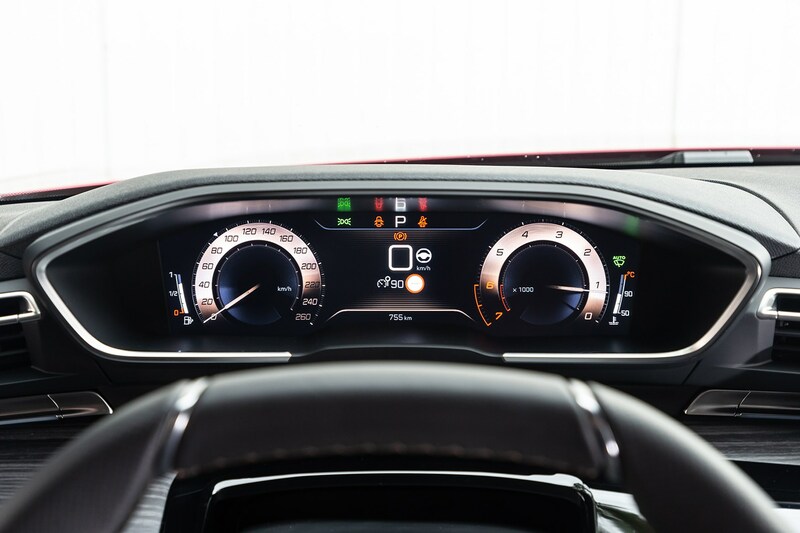 Like the 3008 and 5008 SUVs, there’s been a strong focus on designing a modern interior that wouldn’t look out of place in much more expensive cars. 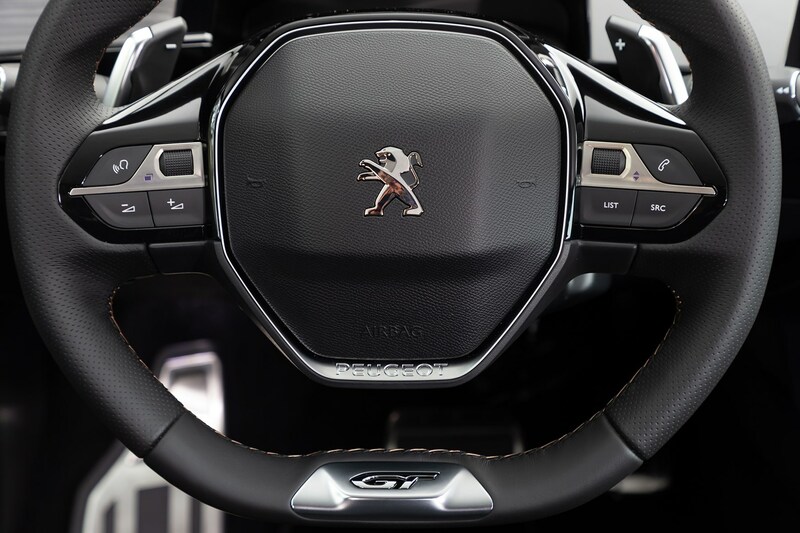 Peugeot’s i-Cockpit set-up with tiny steering wheel and high-set digital dials are found up front, but the 508 comes with a stepped dashboard and a large touchscreen nabbed from the DS7 Crossback SUV, while a high centre console surrounds the driver. 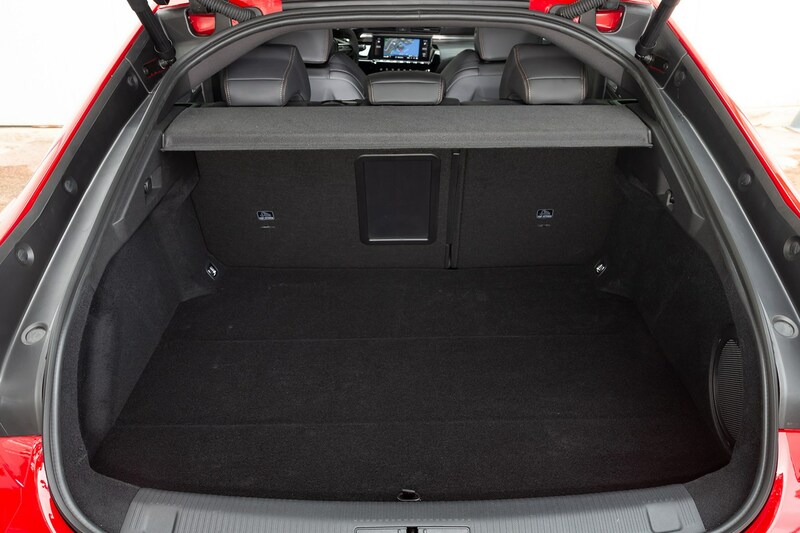 It’s not one for those who could feel claustrophobic. 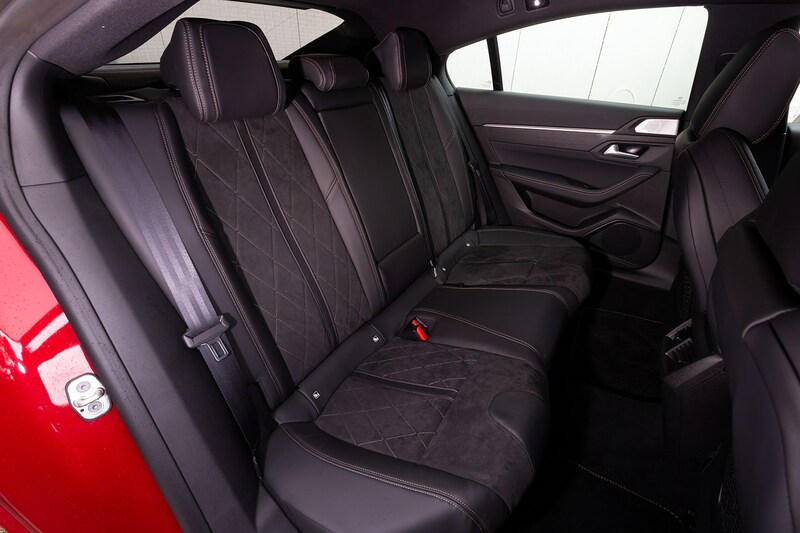 Plush materials are all present and correct, although the UK-spec cars will do without the rather lovely wood trim found on top of the range cars. 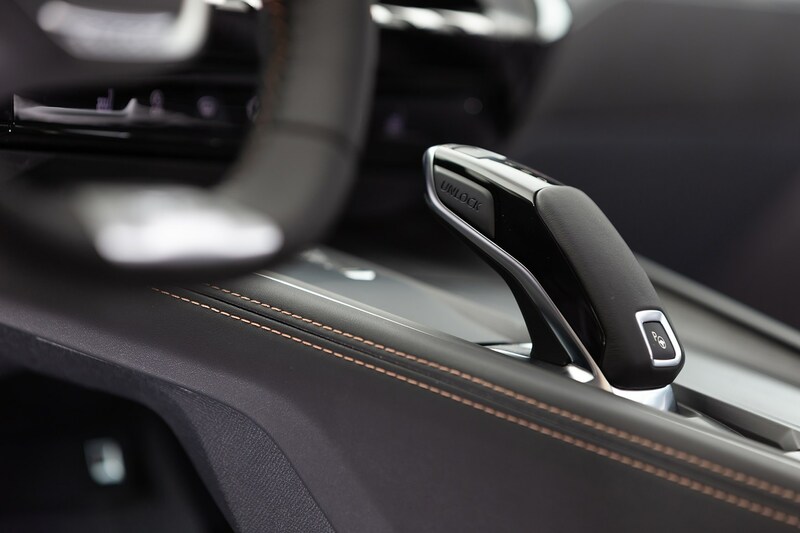 Instead, plenty of carbon-effect plastic and piano black trim will be found in abundance. 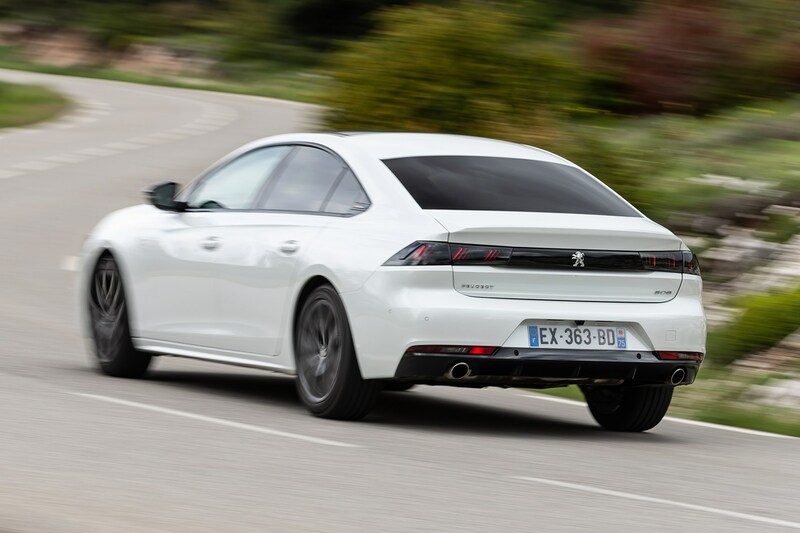 Peugeot promises greater practicality than the old car with a larger 487-litre boot (up from 473 litres) accessed via a hatchback tailgate rather than a saloon bootlid. 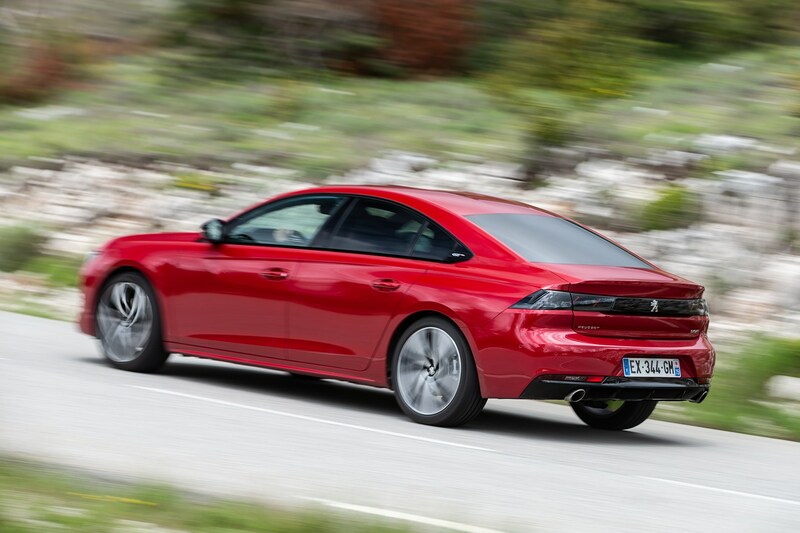 This trails its rivals, though; the Insignia offers 490, the Mondeo 541, and the Arteon 563 litres of room. 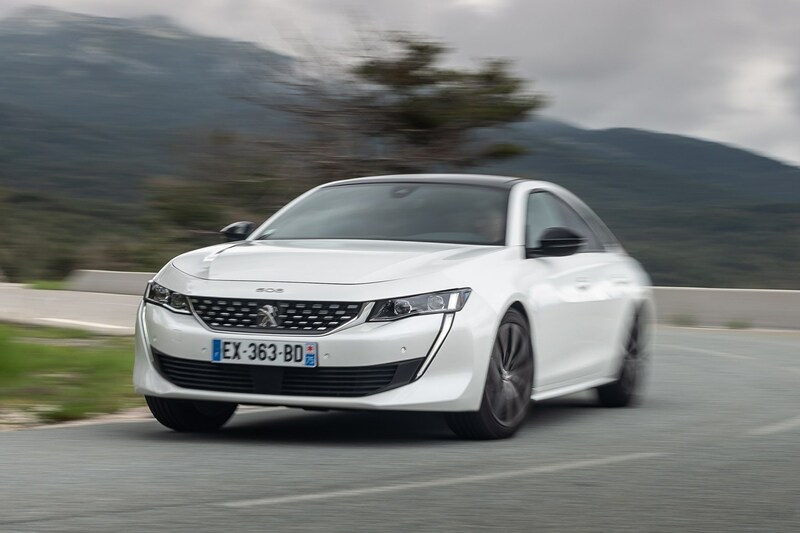 Peugeot offers a selection of PureTech and BlueHDi diesel engines in the 508, ranging from 130hp to 225hp, with a choice of manual and automatic transmissions available on most engines – automatic transmissions are more widely available than manuals. Later in the car’s life, a plug-in hybrid version will expand the line-up for both the Fastback and SW models. 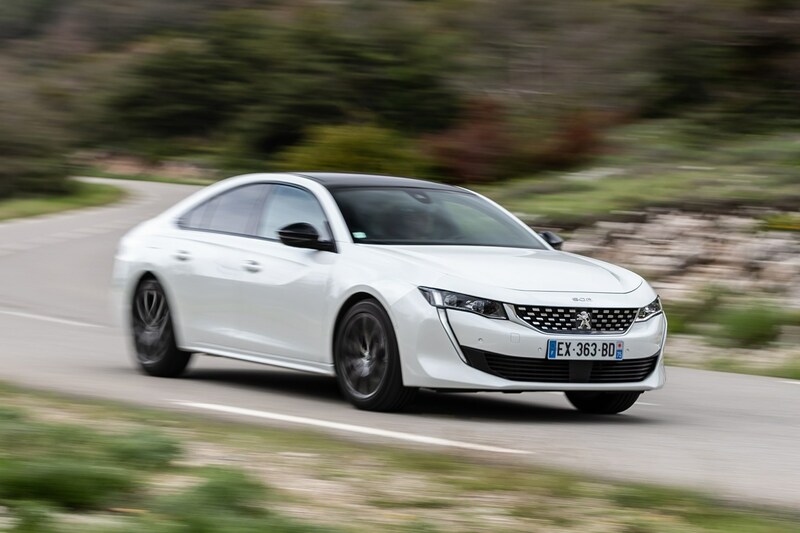 What's the Peugeot 508 like to drive? 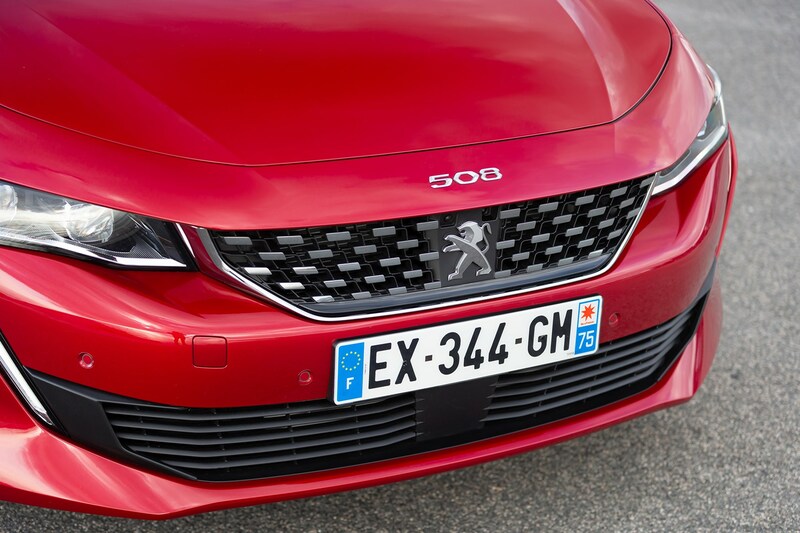 With a wide range of punchy engines available and an impressive chassis, the 508 is an enjoyable car to drive. 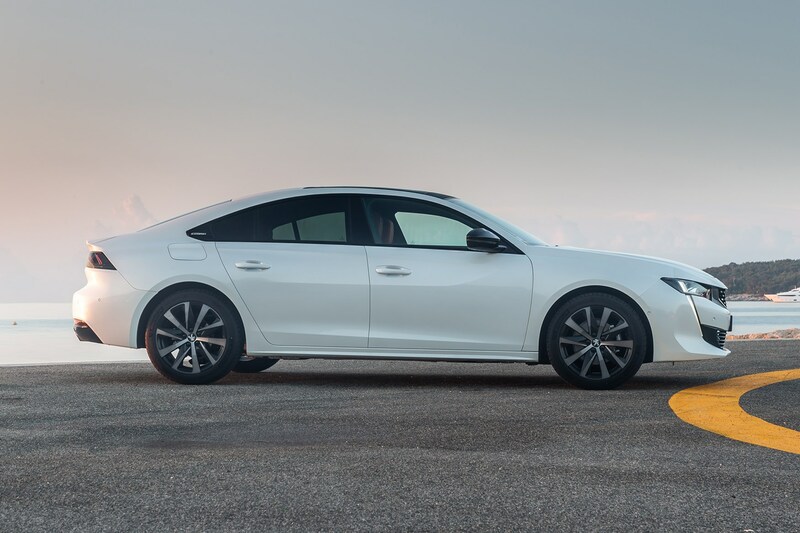 This 508 has traded up to 18-inch rims and employs conventional springs and dampers from the old car, and active suspension is widely available and standard on all petrol models in the UK. 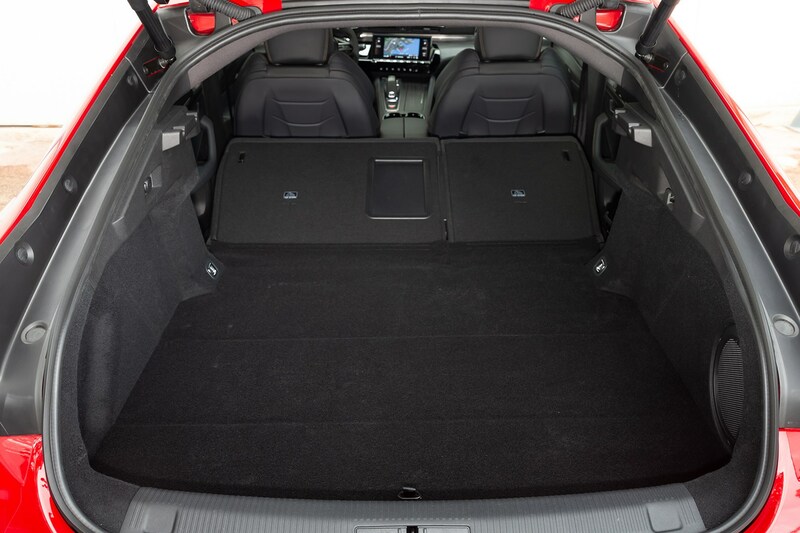 Body control is excellent in the standard set-up, and it's particularly comfortable at motorway speeds. In short, it’s up there with the best in class. Despite frameless side windows, wind noise only occasionally whistles its presence alongside. Throw in well-isolated engine noise, and you have an impressively refined car. 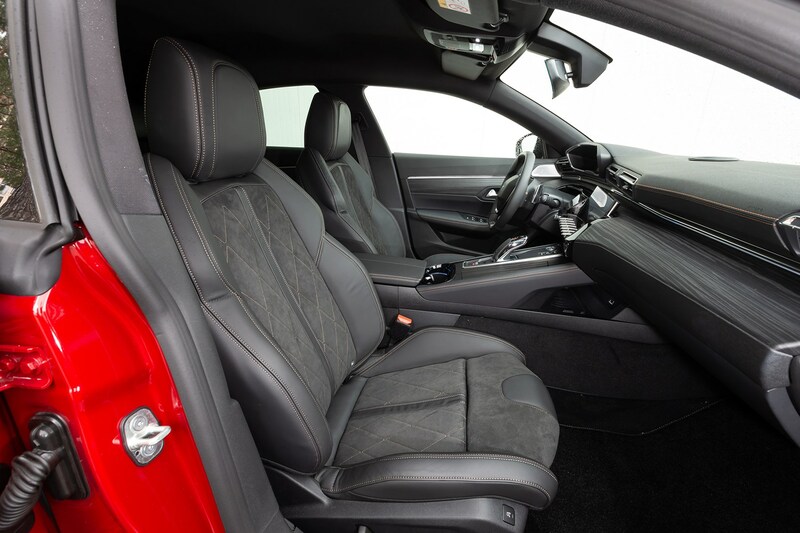 The combination of small steering wheel and slightly light feel to the steering means the 508 feels nimble to manoeuvre, but some won’t like the i-Cockpit’s set-up compared with a more conventional instrument panel. However, the steering doesn’t feel too light and it’s easy to get used to the way the car responds to inputs from the driver, feeling much more agile than its size would initially suggest. Overall, it's easygoing to drive and feels rather different to its German rivals, and that will resonate with some customers. Despite that, it stays flat in corners, holding its line well thanks to plenty of grip. 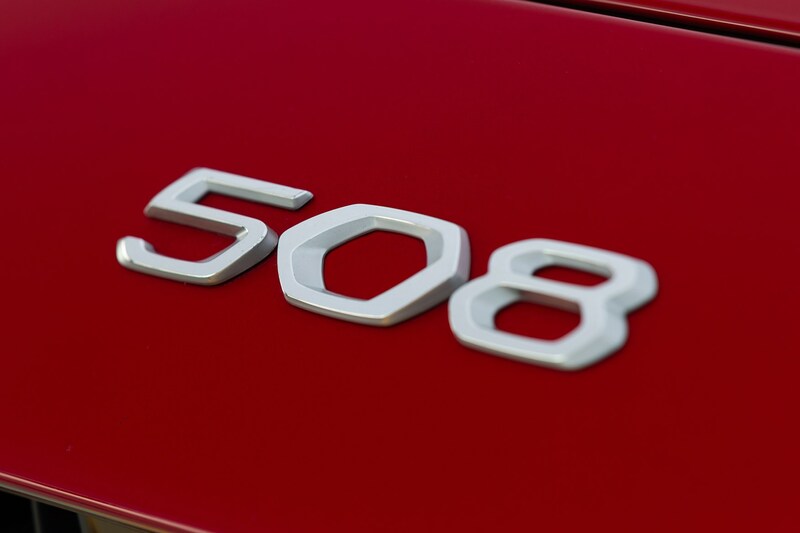 The 508 comes in four main trim levels – Active, Allure, GT-Line and GT – plus a limited run First Edition available at launch. Whichever version you choose, it's an inherently safe car, scoring a full five-star rating when it was tested by Euro NCAP in 2018. 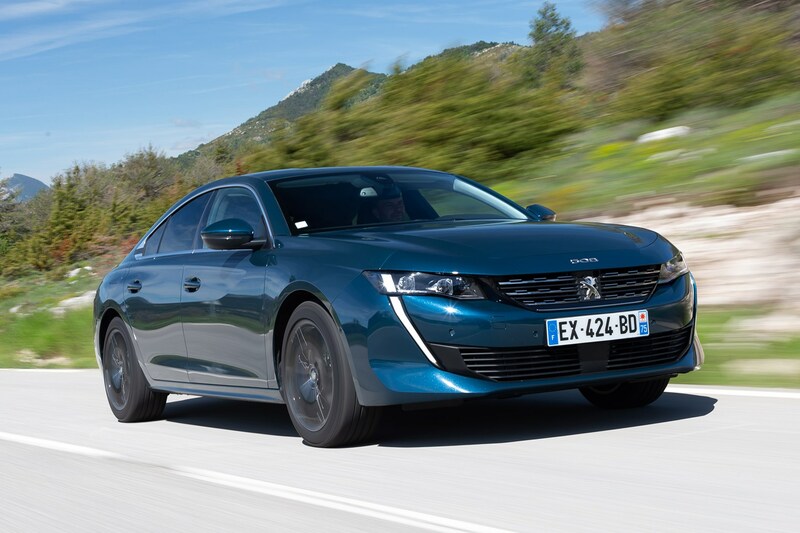 Should you buy a Peugeot 508 Fastback? On looks alone, the answer has to be yes. 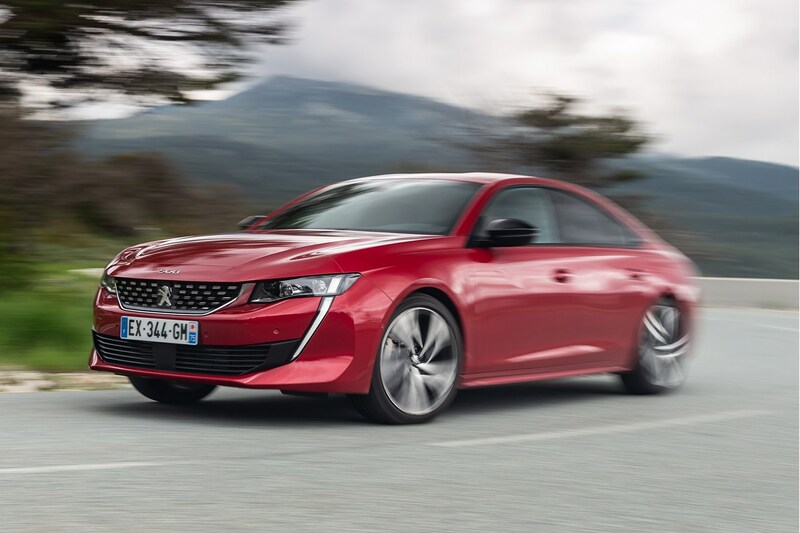 There's no doubting that Peugeot has absolutely cracked it – the 508 looks utterly fantastic, and if it sells well, then it proves that not everyone wants to buy an SUV. 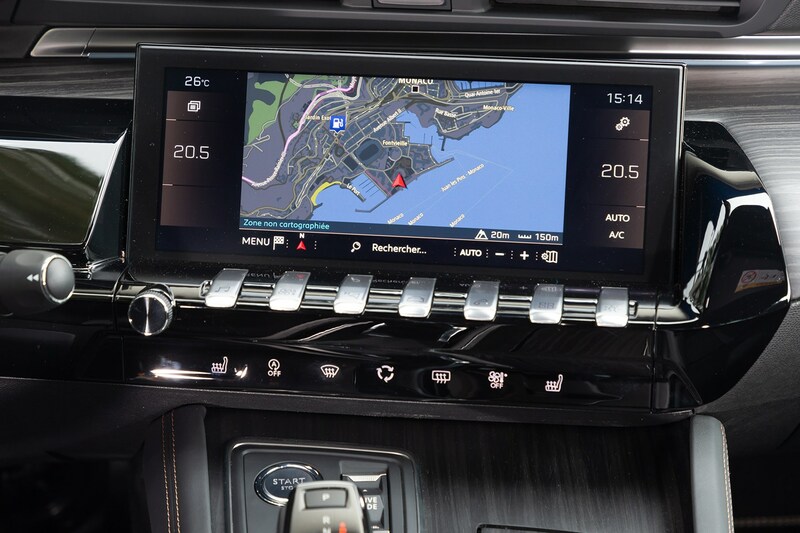 The good news is that this high style continues inside – it has an equally impressive interior, as long as you like that shirt-button steering wheel. 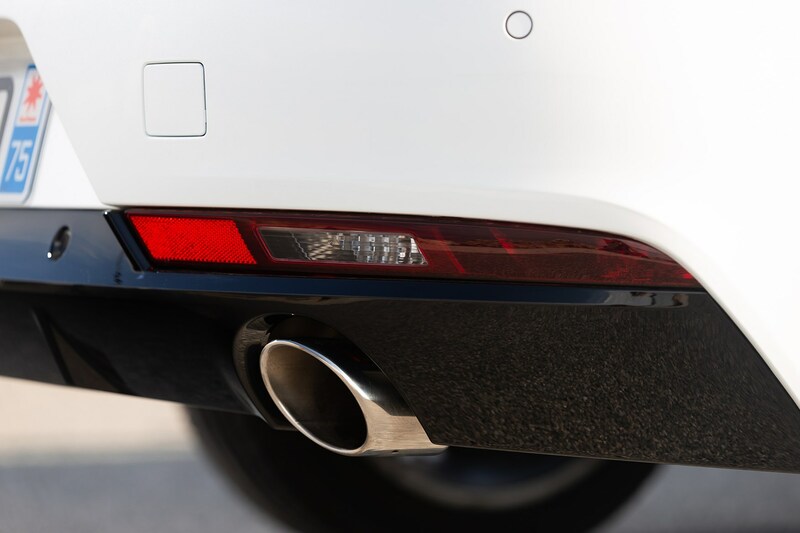 There’s a wide range of engines to pick from, whether you want performance or economy, and long-distance refinement will suit company car drivers. In terms of how it drives, it's not quite class leading, but it handles well enough to entertain, and rides compliantly enough to relax. Just as a French car should. It’s a much more interesting alternative to many of its German rivals, but it does lack the practicality offered by some of these, and comes at quite a high cost compared with its more mainstream rivals. 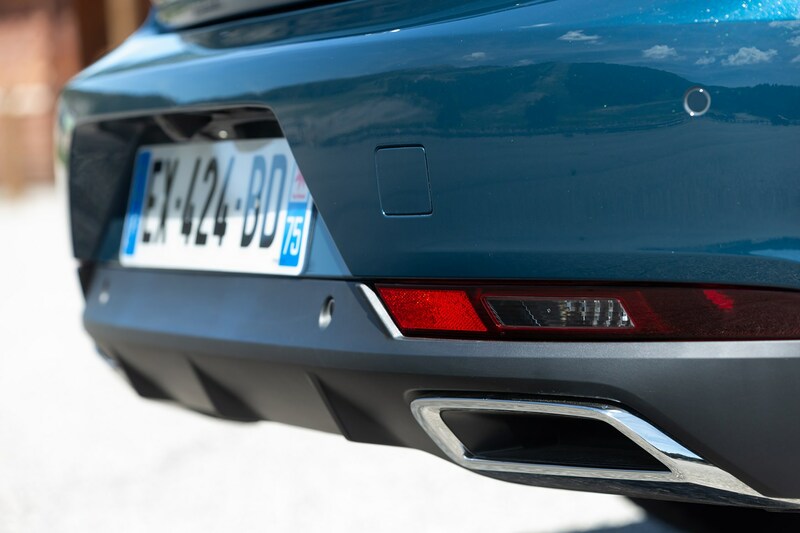 We'll also have to wait and see if it doesn't suffer from the poor resale values usually associated with previous large French cars.